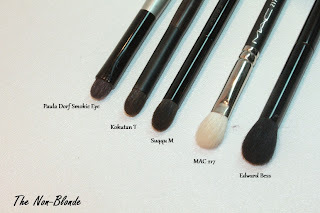 Domed brushes are one of the most important makeup tools in my world. 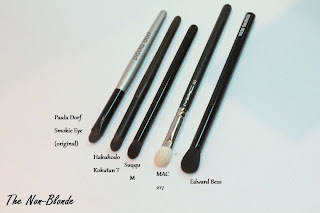 I'm still kicking myself for procrastinating and missing on Suqqu Eyeshadow brush S, a precious pencil brush now discontinued and more rare than purple unicorns. But I do have the larger Suqqu Eyeshadow Brush M and it's a thing of beauty. Suqqu Eyeshadow Brush M is made of wonderfully soft squirrel hair. The head is an elongated dome, tightly packed so it picks as much color as needed and applies it to the lid or crease. The brush feels wonderful against my skin and gives wonderful results even with products of questionable quality. Suqqu M is a serious power tool: its size and shape make it suitable for blending dark colors as well as applying them. 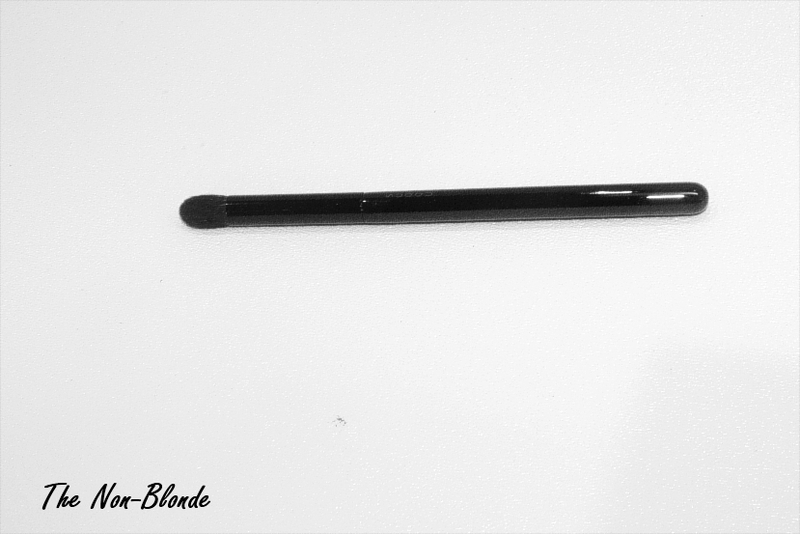 It diffuses color and smokes out along the lash line, and it's also suitable for a modern cut crease. 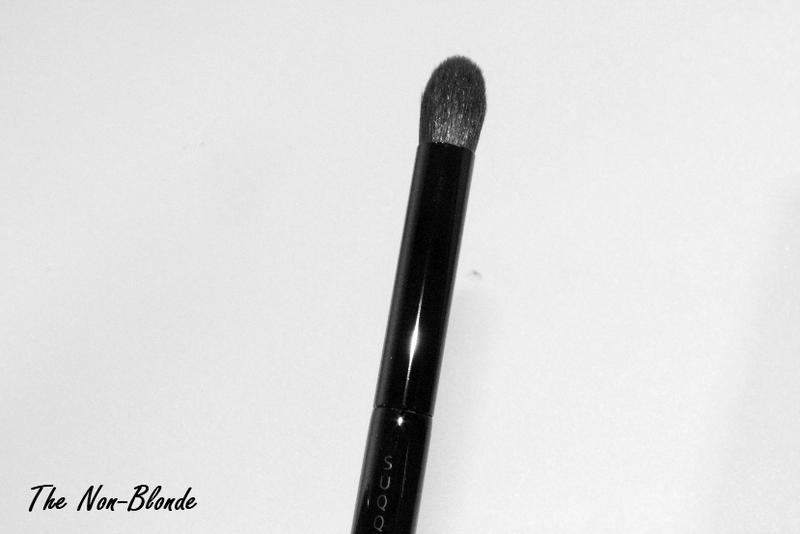 Suqqu Eyeshadow Brush M (£48.00) is available from Selfridges and at Suqqu counters in Asia. Can also be purchased via ichibankao.com with considerable markup. I watch Lisa Eldridge use this brush all the time and I really want it. I've been waiting to get this and the blush brush so I only pay US shipping once. This brush is perfect. I bought it recently and it is already my favorite. Their cheek brush is also wonderful.